With Spain on our doorsteps, it's no surprise that it's the most popular holiday destination year after year and having been to Barcelona for a few days, I couldn't agree more in wanting to pop across the ocean for a quick visit. The beauty of European cities is how you can easily do them in a weekend, and that is definitely a great amount of time to explore Barcelona. First things first, of course, are the works of Gaudi. The Sagrada Familia is the iconic cathedral that was never finished due to Gaudi's death and so is still in construction even today. But the intricacy and ornate design of the building means that it is still one of the most beautiful places to stand and look up at. 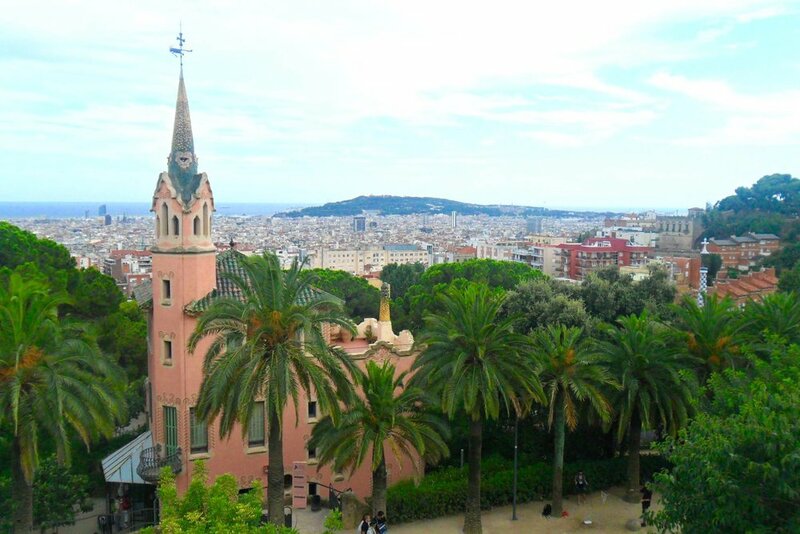 And there is Park Guell. With a mixture of Hansel and Gretel, Disney and Alice and Wonderland, it is so wonderfully colourful and over the top, and the wacky colours are what make the city so bright and cultural. The mosaics are stunning and the view over Barcelona isn't too shabby either. And of course the tapas and sangria. Both things that would most definitely tempt me to move to a city I can only stiltedly speak the language because they are that delicious. Granted, we only went to one tapas bar, but that's because we went three times in two days. With the beauty of tapas being that you have many mini plates, it meant there was so much to try and at La Txapela, it was never ending with how blimming delicious they all were so I have no regrets. The patatas bravas and whisky chocolate torte are still the best things I've ever eaten. Of course there are a few things to be aware of; being the mugging capital of the world, Las Ramblas is a hotspot so make sure everything is tucked away, and after a late night swim in the sea, we actually had a lot of our stuff stolen including bank cards and passports (completely our fault, but compared to the rest of Europe which had been super safe, it's a shocking reminder). And with it being a great party scene and makes for a great night out, just stay safe when in clubs. So always be careful, but the bright and boldness of Barcelona makes it all worth it because there really is nothing out there like the crazy works of Gaudi and deliciousness of their cuisine.